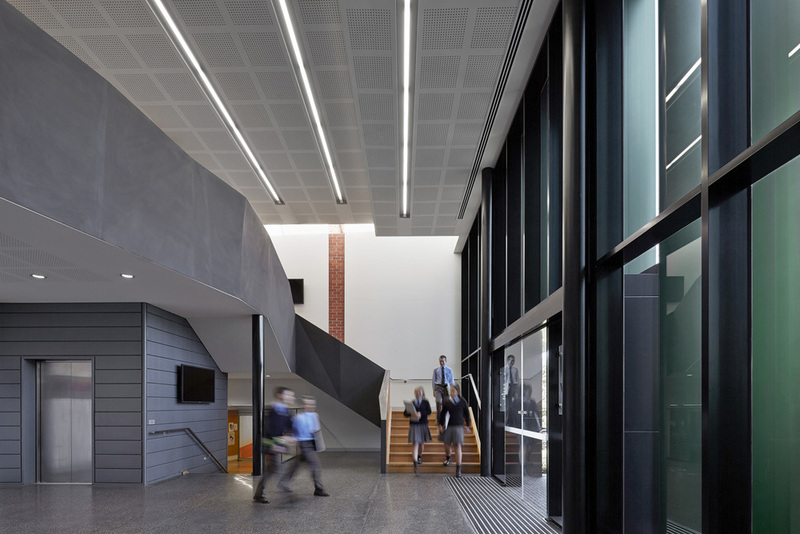 This new precinct at Ivanhoe Grammar brings music, theatre studies and the visual arts together in a novel way. 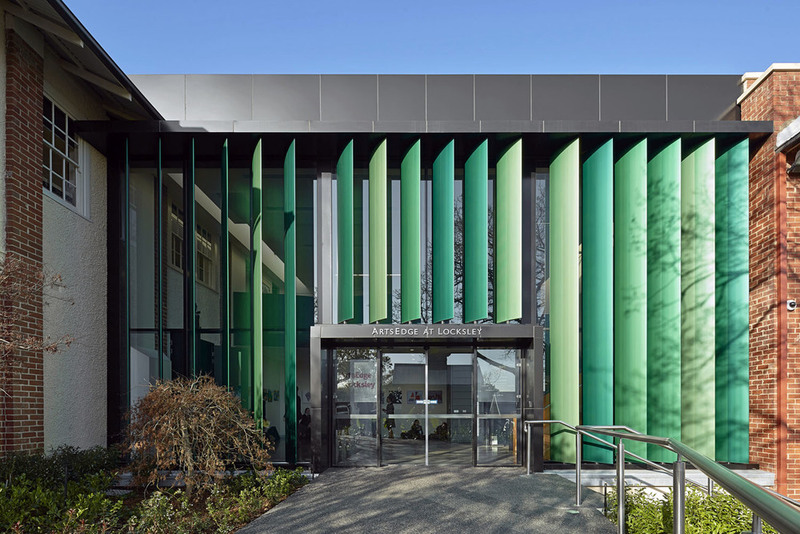 A bold colourful louvre clad façade contains a central two story foyer and gallery for school functions and seamlessly connects the entire building. 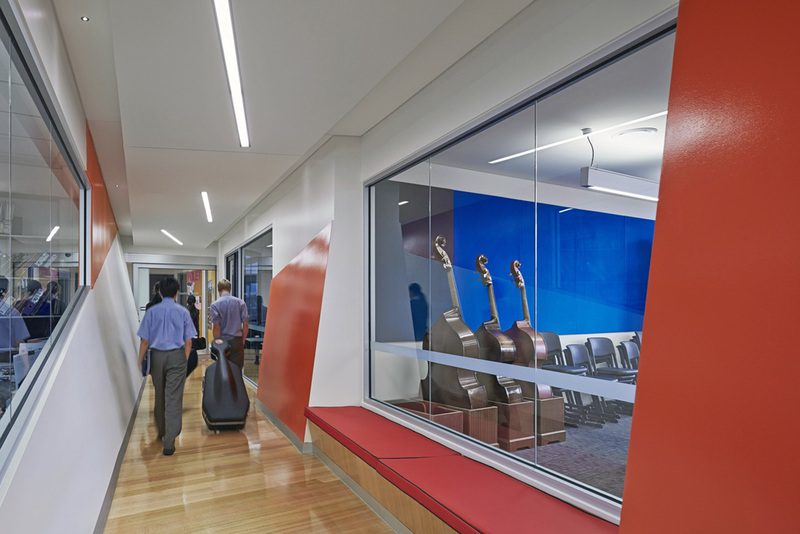 The ground floor has a strong emphasis on acoustic design with the provision of practice rooms, percussion studios and recording rooms. The first floor has been opened up to create a light and airy studio arts and visual communication collaborative learning studios. Existing timber trusses have been exposed to create a dramatically high space. While a high bandwidth IT infrastructure upgrade with wireless capability has been installed to facilitate the use of student’s multimedia devices.